Regular class price applies. Preregistration is strongly recommended. Email us to use your class card. If you want a full evening of The Yoga House delights, stay after for our Community Night & Vegan Potluck where David will share the melodic sounds of the flutes. Come experience the creative sequences and spiritual energy of Julie Colton accompanied by the live music of handpan player, Dan Mulqueen. 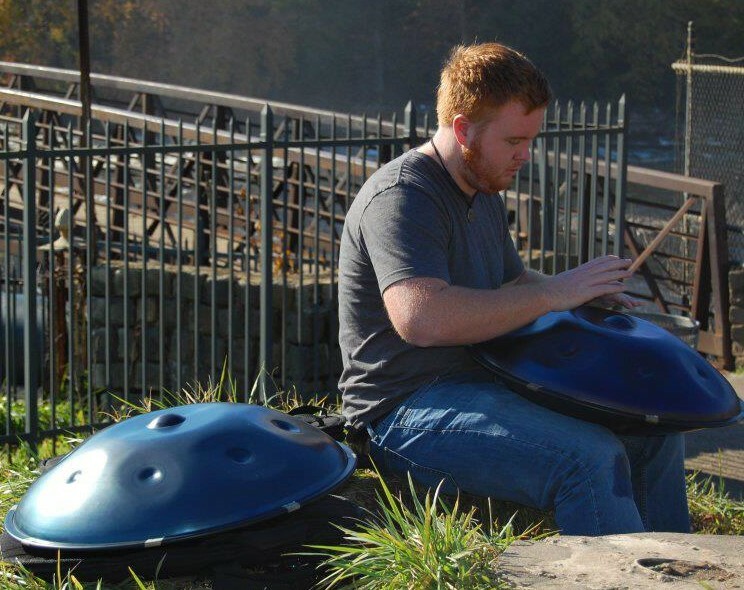 A percussionist of over 13 years and a trained musician, Dan picked up the handpan about six years ago and has mastered this instrument that was only developed in 2000. Strongly influenced by Eastern philosophy, his music is the perfect sound for your journey on the mat. Preregistration strongly recommended. Regular class price applies. Scroll down to sign up today or email us to use your class card. Don’t forget to stay after for our 2nd Community Night & Vegan Potluck, right after Julie’s class, where Dan will play an informal concert!